Interboro Properties LLC is a mid-sized firm that develop, acquires, management, sells and rents properties throughout New York City and beyond. We began as a small real estate company in the five boroughs dealing primarily with residential development and management, residential rentals and sales. Within the few years of our operation we were able to become the dominant player in our market sector in the five boroughs and triple our sales force. We generally target Residential and Commercial buildings and portfolios, Healthcare properties, Senior Living and Hotels in gateway cities, Mix Use Buildings, Healthcare properties, developments sites with entitlements, located in high barrier to entry markets with strong demographics, as well as Urban Centers in high traffic locations. Interboro Properties LLC innovation along with the recent development of a proprietary database and information real estate management system for the exclusive use of our real estate agents enabled us to expand into every market sector in New York City. In recent years we launched our real estate sales division and today we provide comprehensive commercial and residential real estate brokerage services to sellers, buyers, renters and landlords. Our experienced real estate agents are provided with the best technology, training and support to enable them to provide you, our clients and customers, with the highest level of service. We work closely with the leading residential and commercial developers in Manhattan, Brooklyn, Bronx and beyond and provide keen strategies for design, marketing and pricing guidance based on our proven track record and expertise. 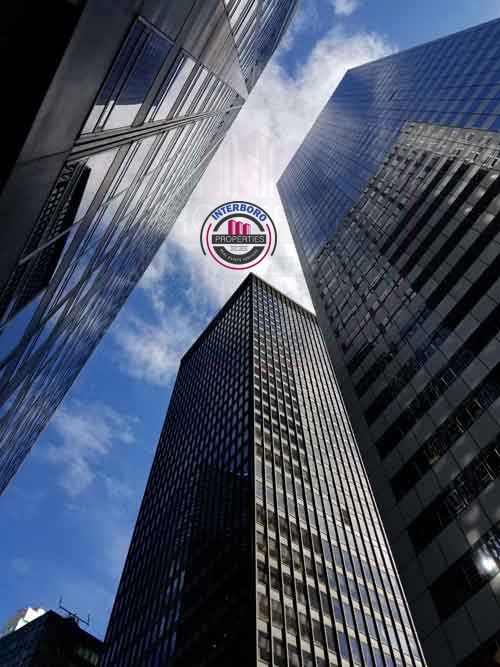 Our seasoned team of commercial leasing experts save our clients time, money and stress. We serve as representation for both landlords and tenants. They always expect to work with an industry veteran providing personalized service only a boutique can offer. Our Investment Sales Division provides private and institutional clients, equity capital, lenders, government agencies and not-for-profit organizations with institutional-quality brokerage services. Our Investment Sales agents are fully updated on the market conditions that impact real estate valuations, leveraging in-depth knowledge of financing and financial markets.